A selection of Tarot study guides and other favourite related reading. A thoughtful, useful reference book and workbook for readers who know the basics, and are ready to up the ante for maximum speed and fluency, whether in reading for themselves or in developing professional expertise. Folk want answers, they want them clear, and they want them snappy. One of my frequently used decks, based on the Rider-Waite formula. Friendly and easily accessible to users and clients. This was one of my own early study books. The card meditations are good, using a story telling approach to help you memorise and internalise the archetypes of the Majors and court cards in particular. Learning Tarot is rather like uploading a programme, to start with. Once uploaded, experience will start to customise your interpretations. Seventy Eight Degrees of Wisdom, by Rachel Pollack. An accessible and greatly respected modern Tarot classic. 78 cards make a Tarot deck, each with its own micro-library of ideas and cultural, archetypal references. A beautifully presented and produced pocket- sized introduction to the Tarot, published by Dorling Kindersley. It covers a wide territory; the history of Tarot, its uses, card meanings, themes running through the Tarot and card layouts or spreads. Sample readings are included to demonstrate spreads. Putting The Tarot To Work by Mark McElroy. An everyday guide to using Tarot cards with an emphasis on the work place: Tarot for problem solving, decision making and career planning. A completely accessible read for non-tarot readers, but you might want a deck of your own so you can join in and try a few things for yourself. It won’t appeal to occultists perhaps. I hate the louche cover design, but it’s accessible, entertaining and it offers a lively crash course in practical everyday associative thinking, so it gets my vote. A rather beautiful, sombre look at using the Tarot for facing, understanding and getting a use-able handle on coping with or surmounting the difficult feelings everyone experiences from time to time. Suitable for self-help, and for thoughts on reading for others currently experiencing major emotional difficulty or managing chronic health difficulties. Professional Tarot: The Business Of Reading, Consulting & Teaching, Christine Jette. This book, while aimed at the US market and therefore written in cognisance of US laws and licences regarding professional tarot reading, is full of great common sense and very helpful if you’re starting out professionally. It can be by definition, such a solitary pursuit, a few friendly pointers can make all the difference in minimising mistakes at the outset. Useful glossaries at the back. A fascinating classic work on the subject of dowsing, and in particular, pendulum dowsing. I use pendulums sometimes, in combination with Tarot cards, for pinning down yes or no answers. A quirky, accessible, characterful book, full of anecdote and diagram illustration, and introducing the principles and applications of pendulum divination or radiesthesia. Try it out for yourself. A needle and thread is enough to get started. TC Lethbridge who died in 1971, was a Cambridge trained archaeologist who used dowsing or, as it’s also commonly called, water-witching, using divining rods on digs. 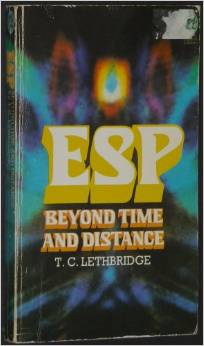 He became increasingly interested in divining with pendulums, exploring paranormal phenomena, which he approached with a mix of scientific discipline and logic, and extraordinary, unprejudiced perception. An extraordinary memoir by writer and reputed medium, Joan Grant. Her own mother who by this account was also extremely psychic, rearranged the family’s tickets to sail on the Lusitania, bringing the date forward. That date would be all right, she said, but she feared the Lusitania was going to sink. Torpedoed on the date they had originally booked. Her husband believed her, as she had been correct about the Titanic. Auntie Tarot a wonderfully enjoyable and wide ranging Tarot blog informed by the work of Madeline Montalban. Art of Cartomancy by Kapherus. If you read Tarot, you might also read playing cards (cartomancy) or be interested in learning. This is a comprehensive, friendly, go-to resource . Sunnyway – Runes Blog: one of my go-to resources for learning about runes and how to work with them for divination or talisman work. I’m always pleased to hear about any of your own recommendations.